What can we say? Franky’s Fancy dress is famous for the variety of fancy dress costumes and accessories on offer. This ever evolving shop has something for everyone, from scary masks to the masquerade, spooky contact lenses, face make-up, hats, wigs, hair pieces and not forgetting the array of props. Nigel and his team have been around for 14 years and they sure know how to liven up the atmosphere! 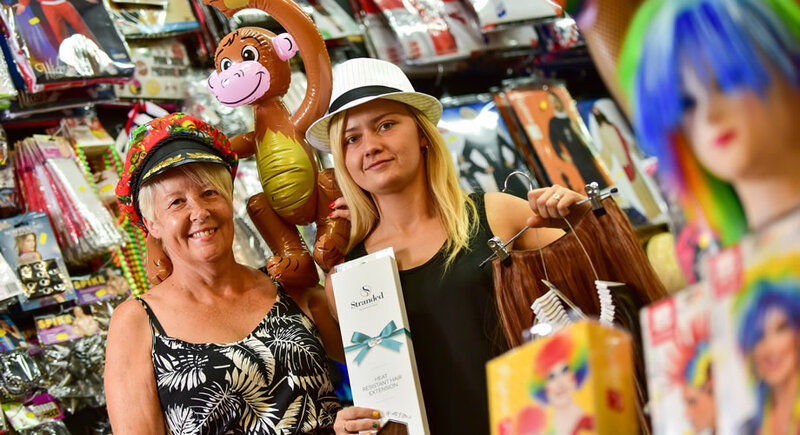 Franky’s Fancy Dress in Chester Market is an official stockist of Smiffys – going straight to the experts. If you can`t see it, they will find it. They cater for all ages and occasions, which makes them so popular and at prices this good, any budget will be accommodated. Pop in to see for yourself, the staff is friendly and will offer expert advice in making your costume the best. Find us on Facebook.